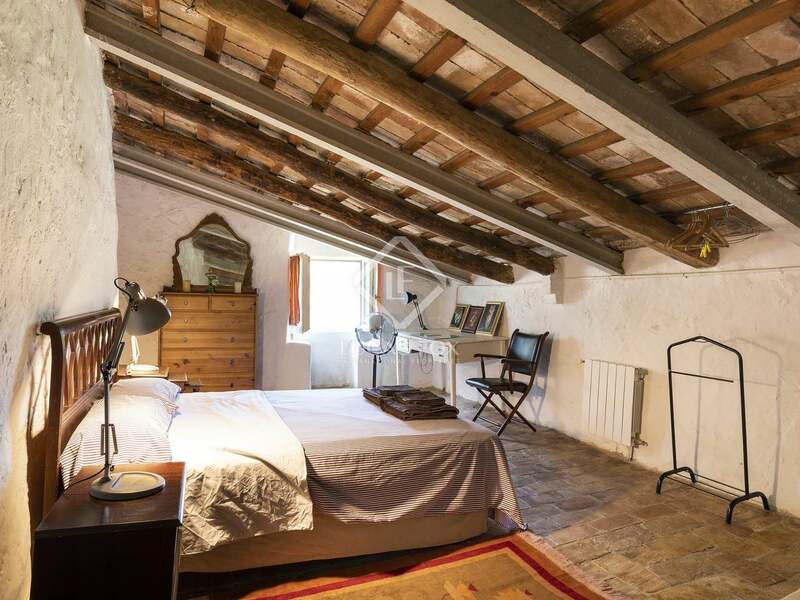 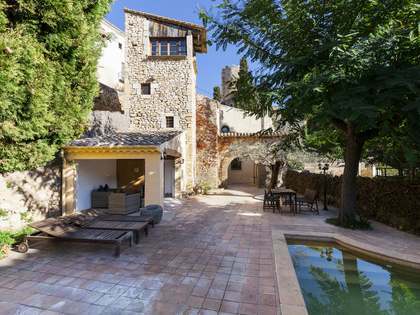 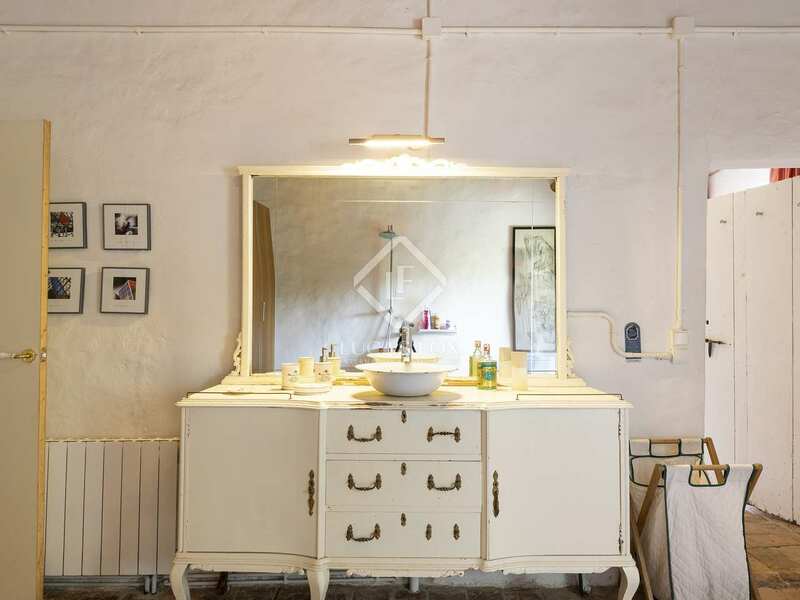 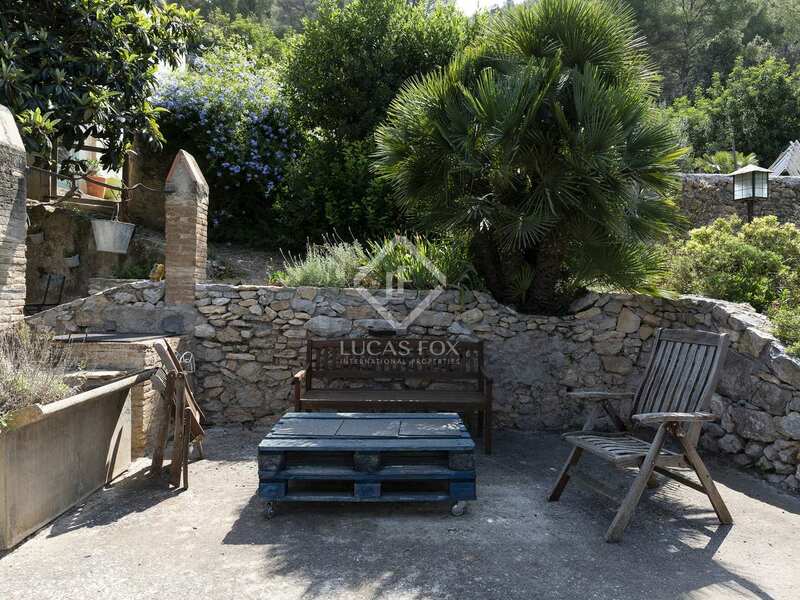 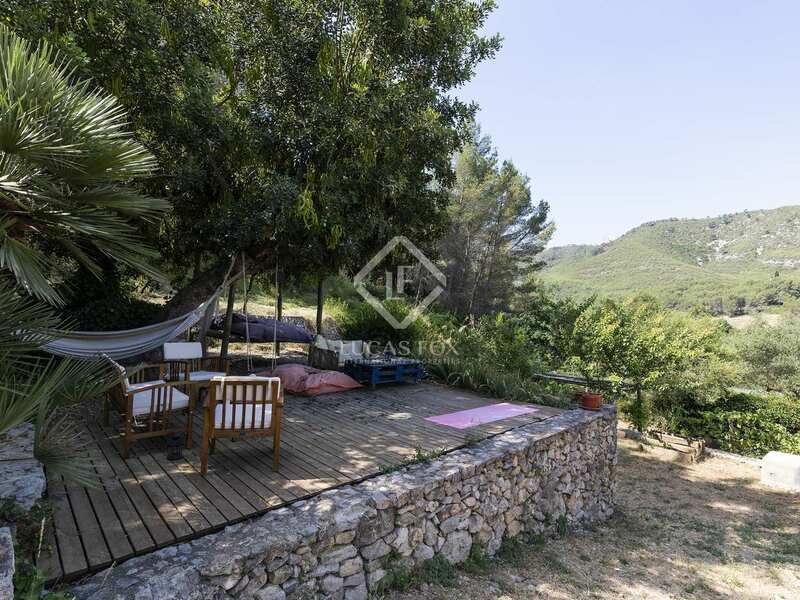 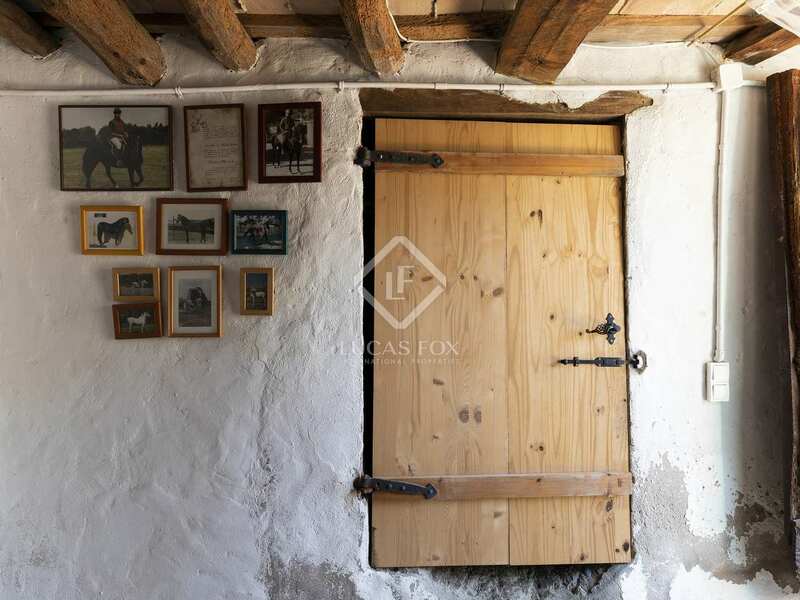 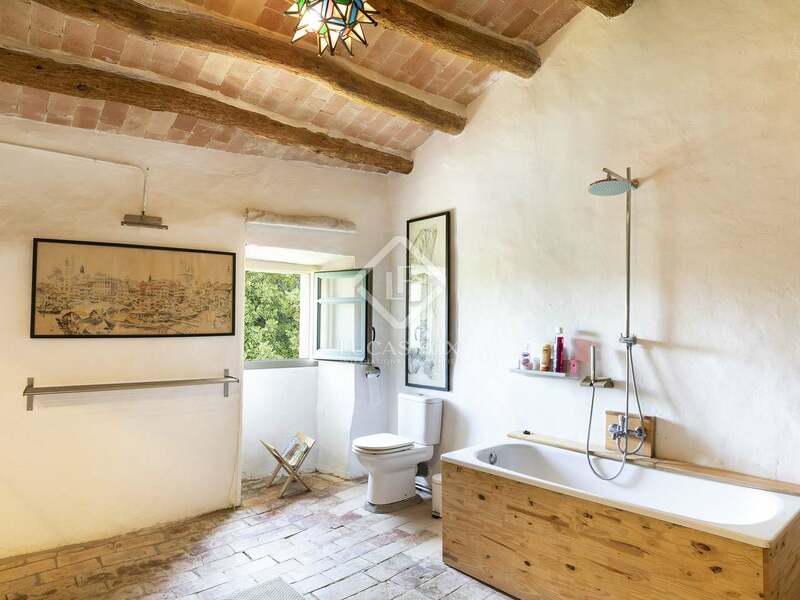 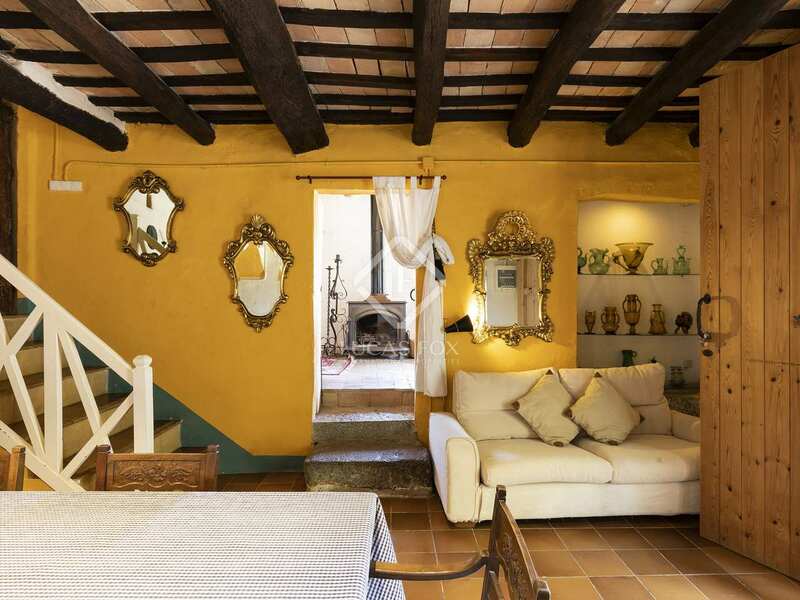 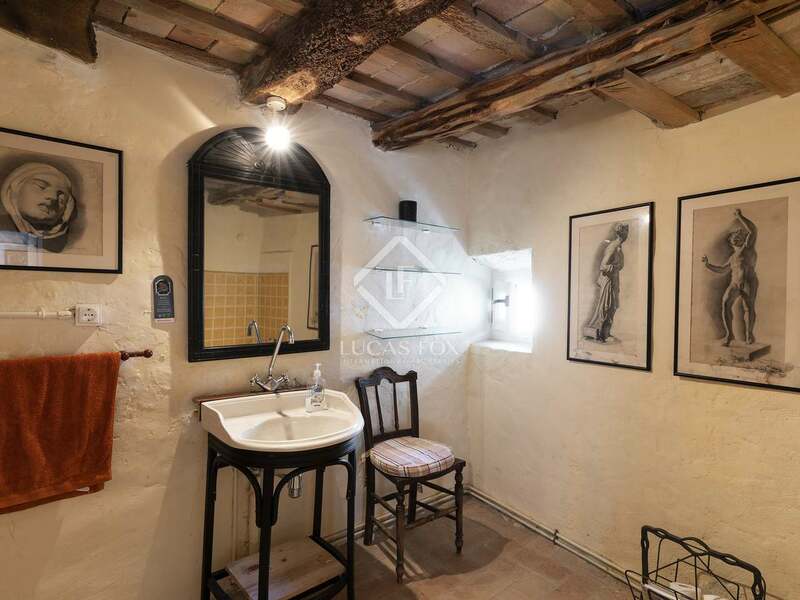 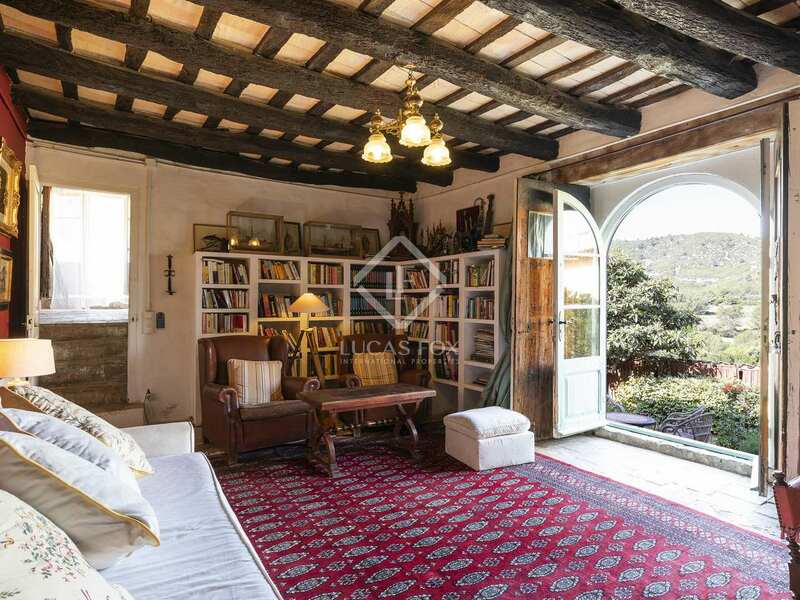 Surrounded by nature, within a 10-minute drive from Sitges we reach this authentic farmhouse via off-road access which reflects the rural lifestyle this unique country home will offer. 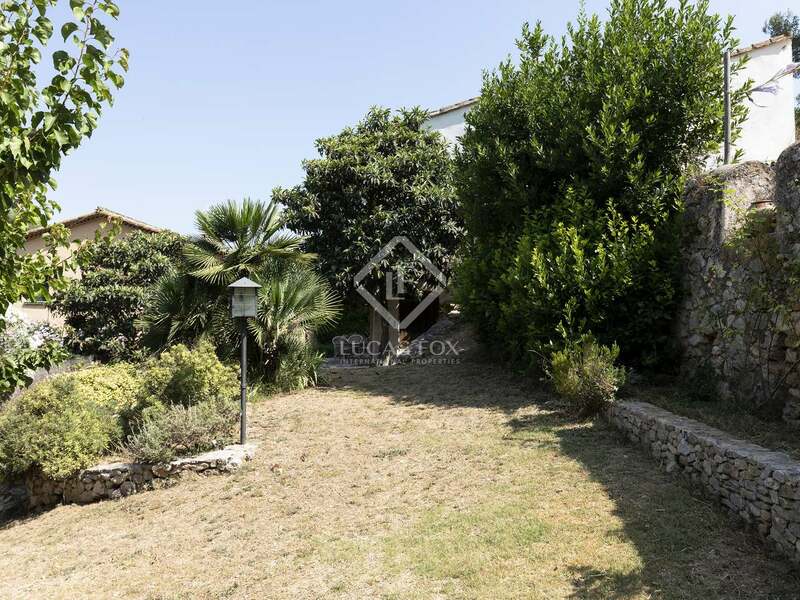 After a 5-minute drive through nature we enter a small community of 3 rural houses with this one sitting on the corner of a 17-hectare plot of land. 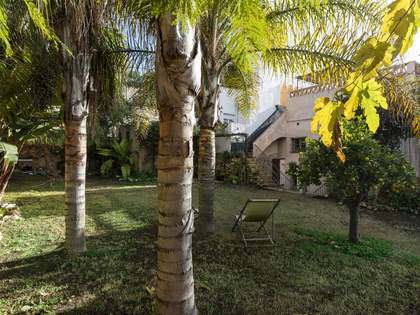 Around the house we find a 1,200 m² maintained garden with several terraces, a lounge area and a nice garden with fruit trees. 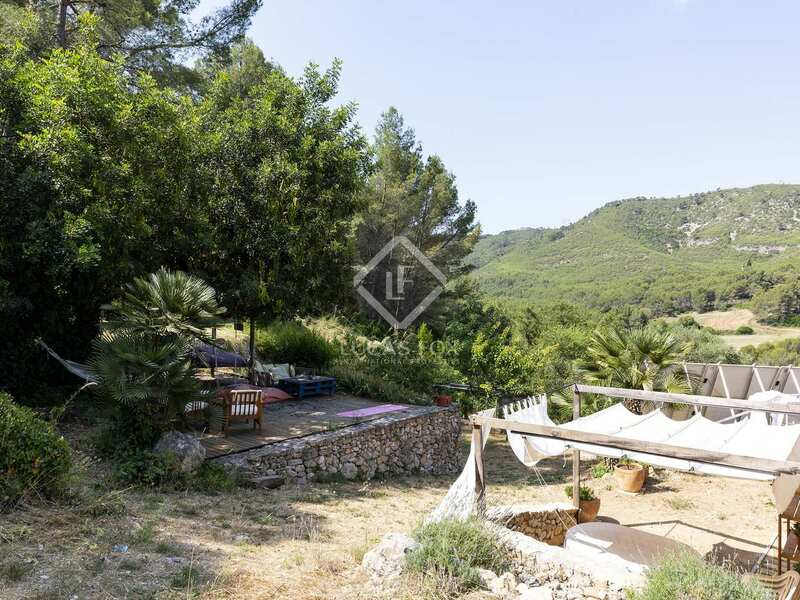 The land offers approximately 13 hectares of forest and approximately a 3 hectares of flat land which accommodates a ruin with the possibility to rebuild. 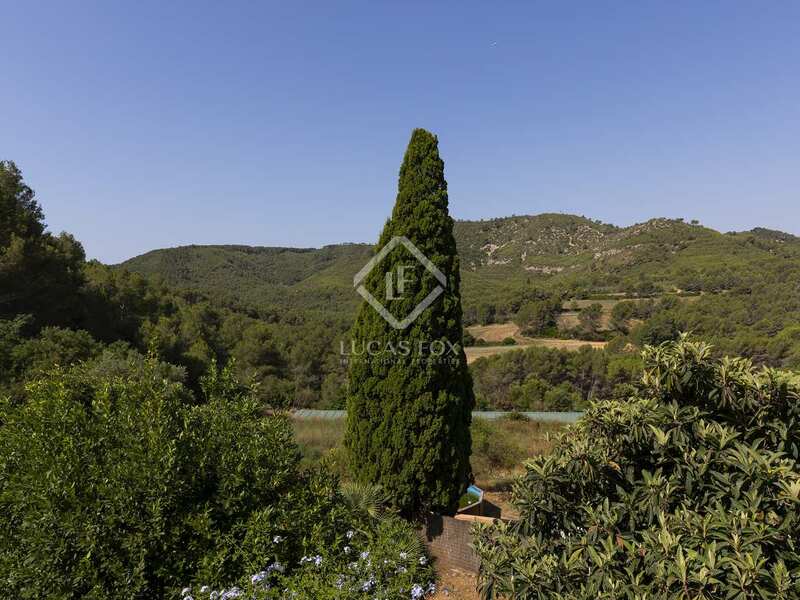 A licence has been approved to change the current vegetation on this part of the land to olive trees or vineyards for instance. 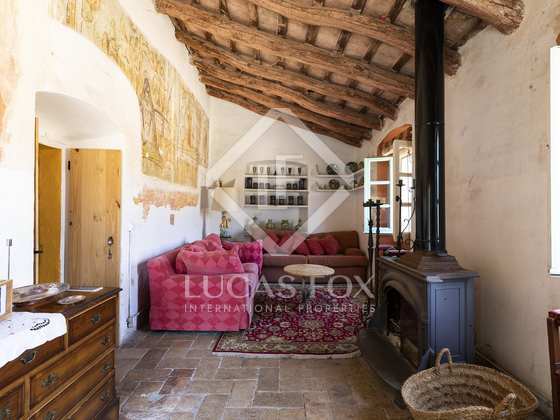 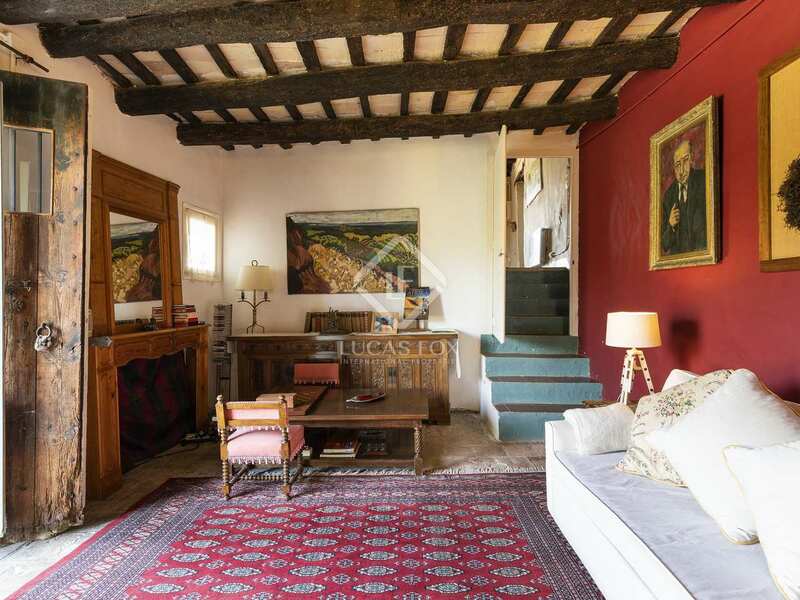 On entering the main house, which has been renovated in recent years respecting the original design, we find a central dining area connected to 2 living areas with a fireplace and a kitchen. 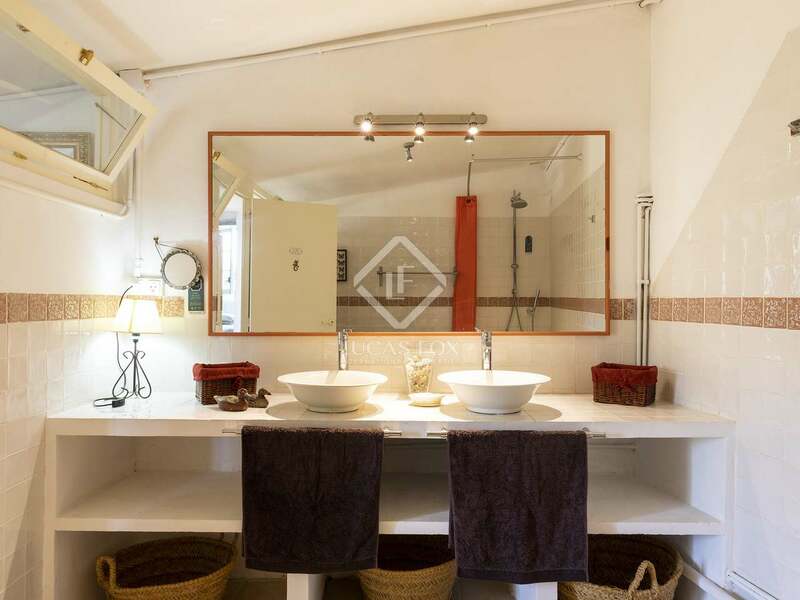 The first floor offers 2 separate sleeping areas; one of which has 2 bedrooms with a shared bathroom and the other has 3 bedrooms with a shared bathroom. 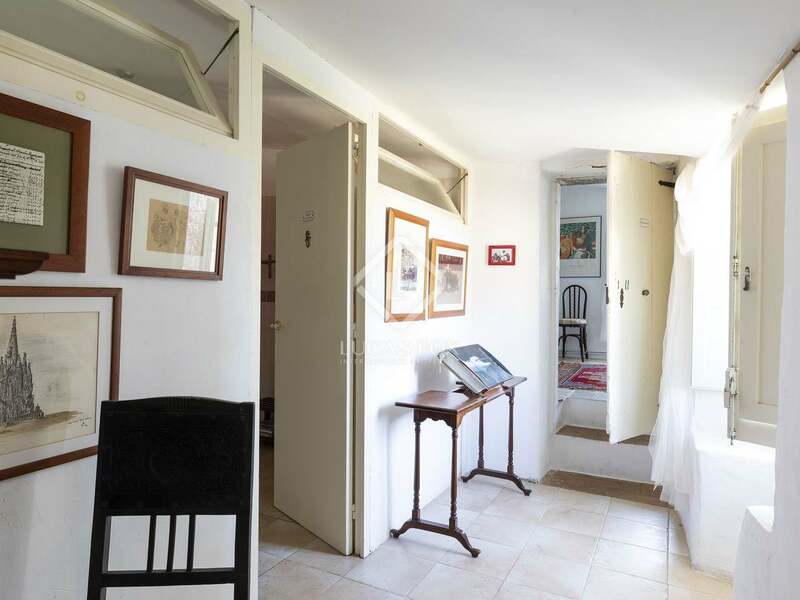 A separate annex of 100 m² provides an open space living area, a kitchen, a double bedroom and a bathroom. 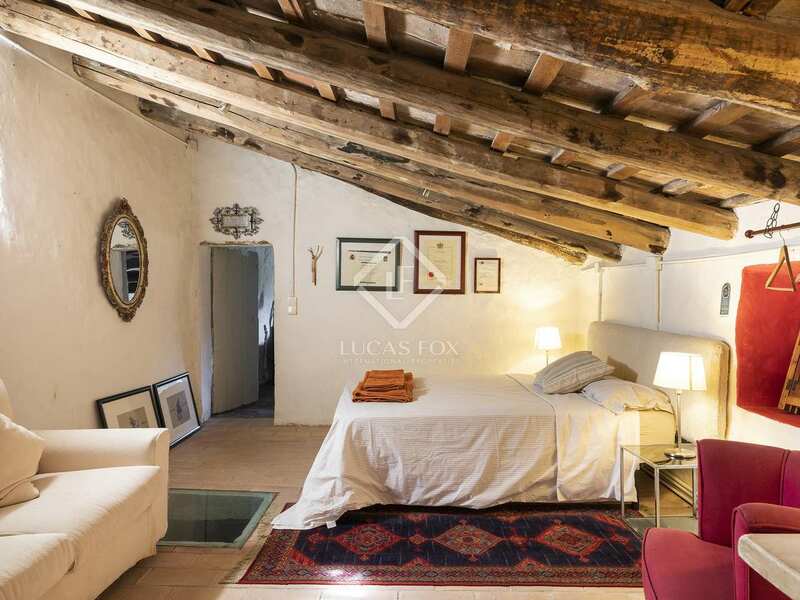 There is another annex building which is suitable to convert into another apartment. 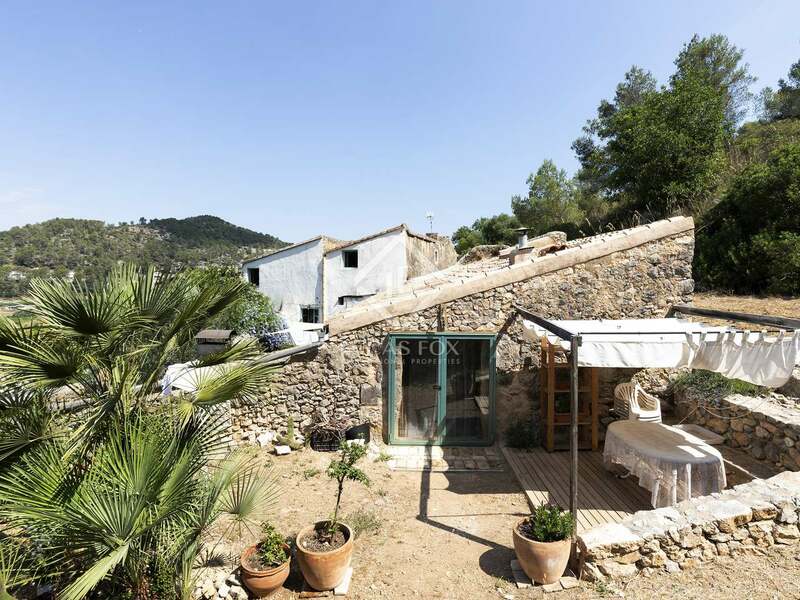 The property is set up to be self sustainable by the use of rainwater and solar panels for electricity, hot water and heating. 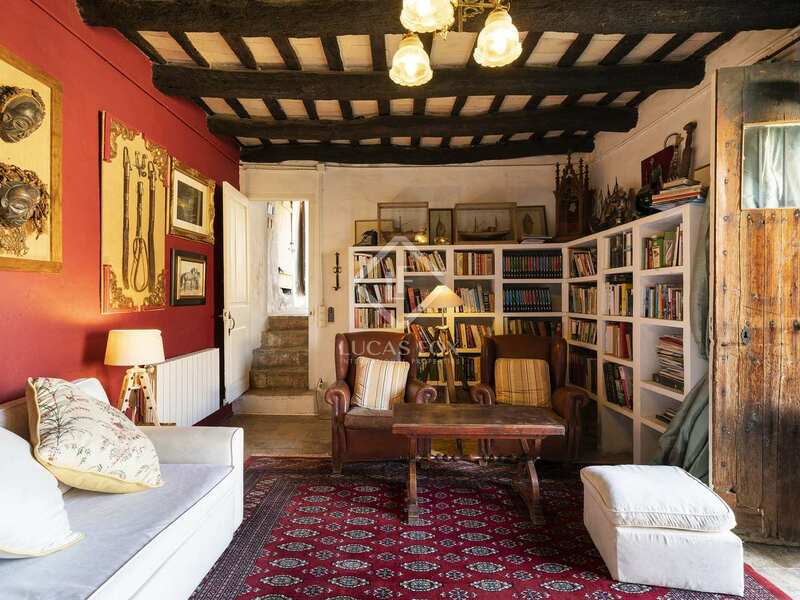 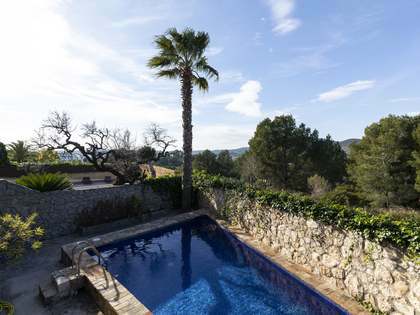 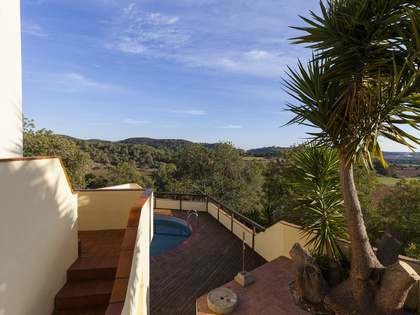 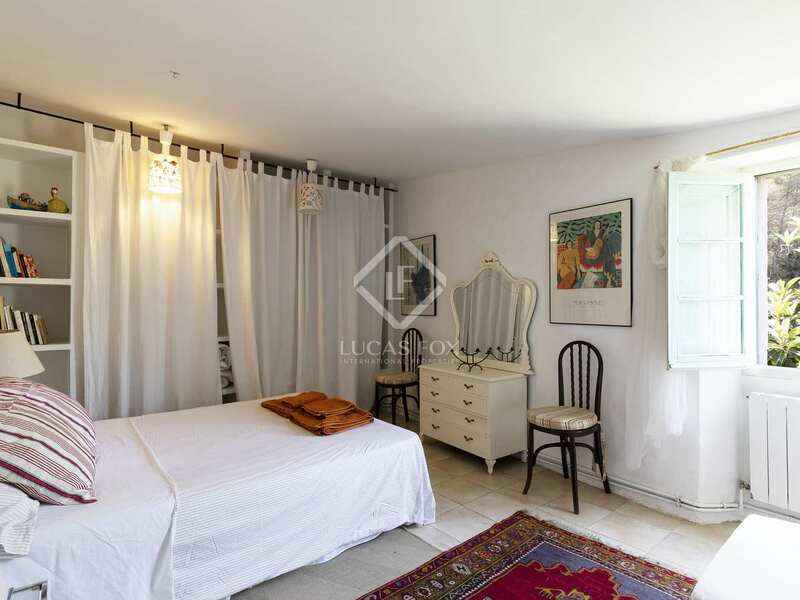 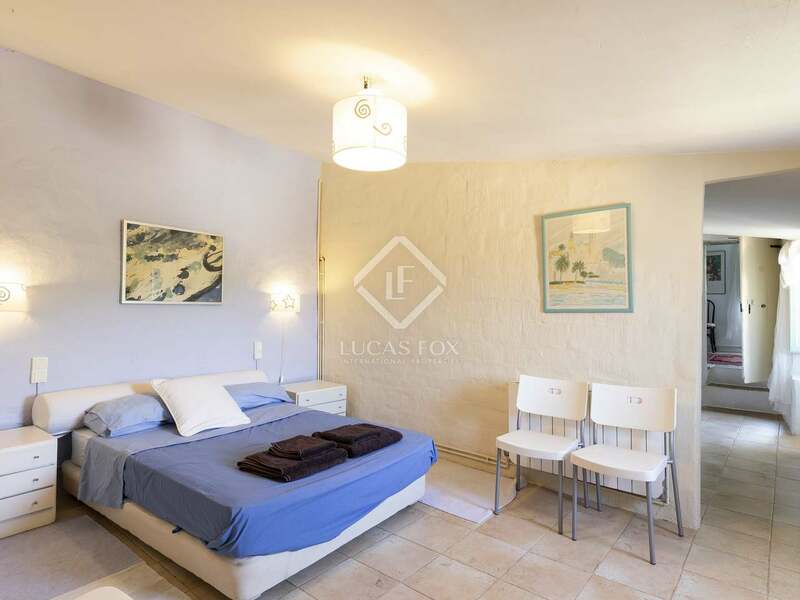 This is a unique possibility for a couple or family to enjoy a life close connected to nature, while being close to the amenities of Sitges and Sant Pere de Ribes. 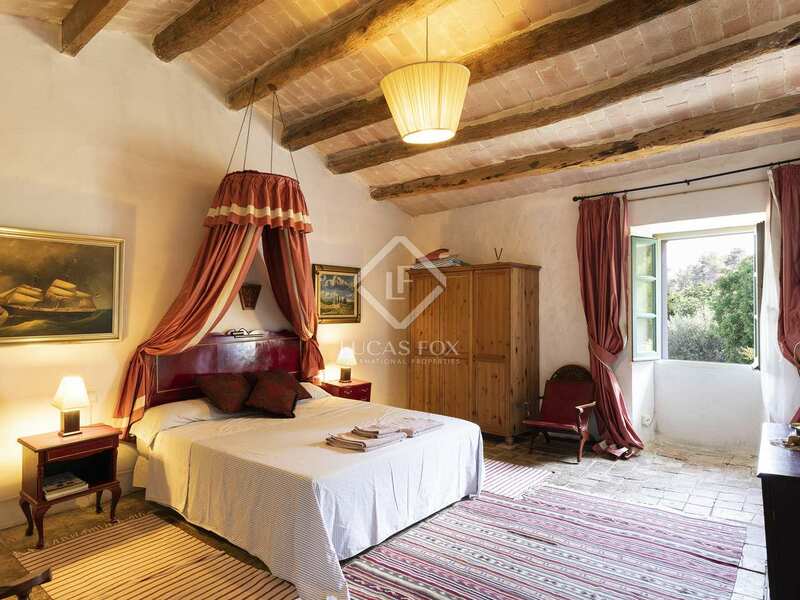 The property would also be ideal as a boutique B&B business. 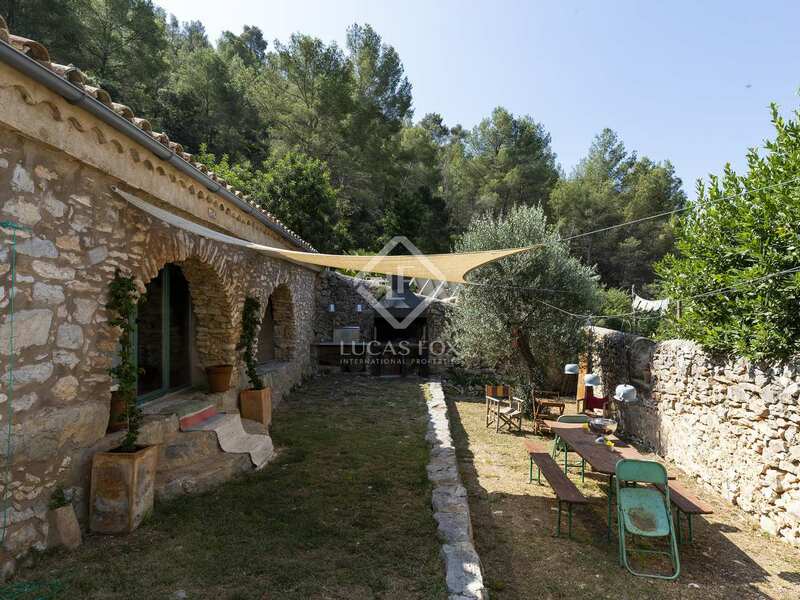 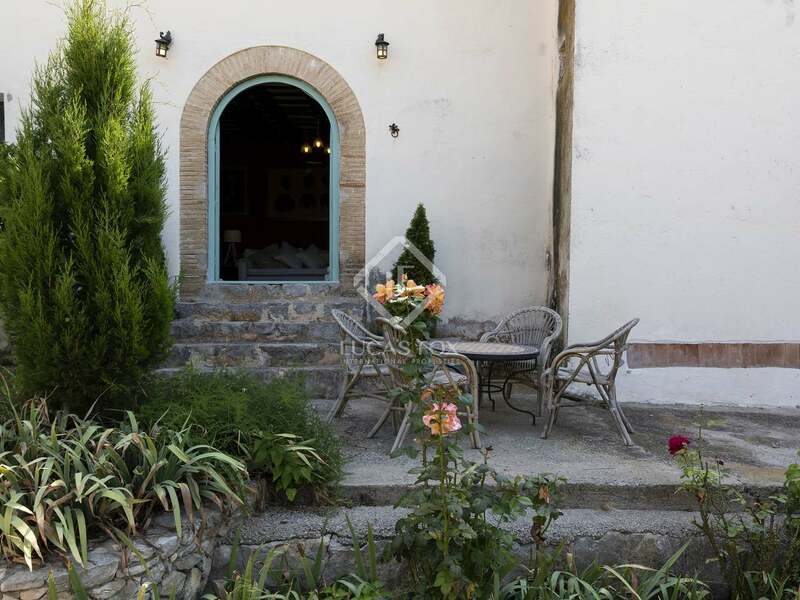 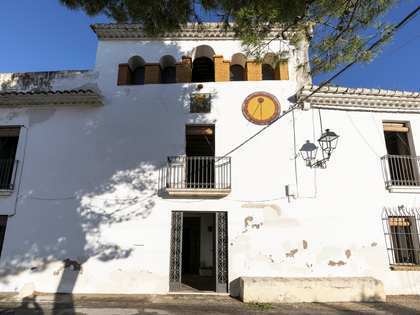 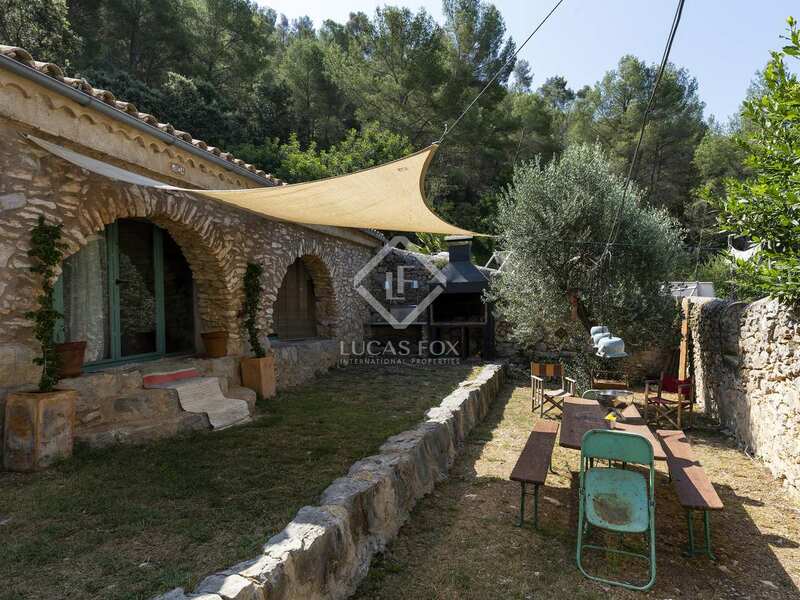 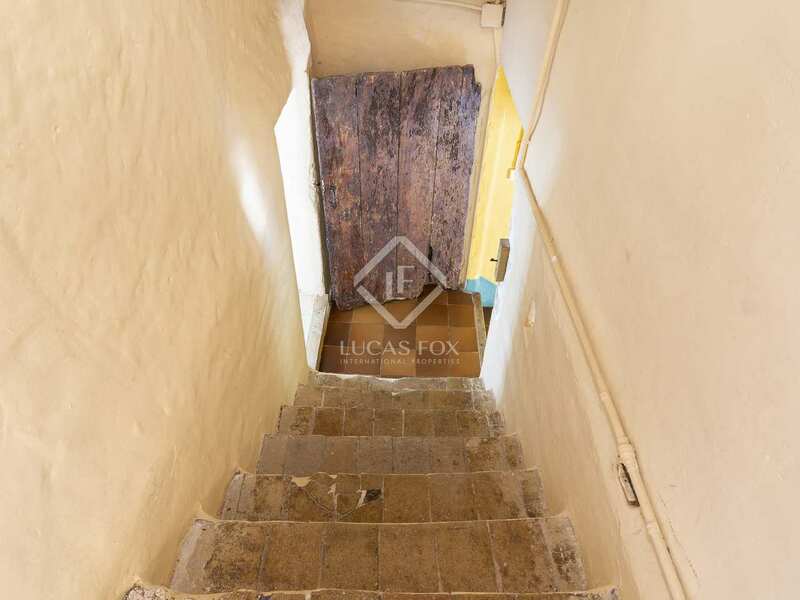 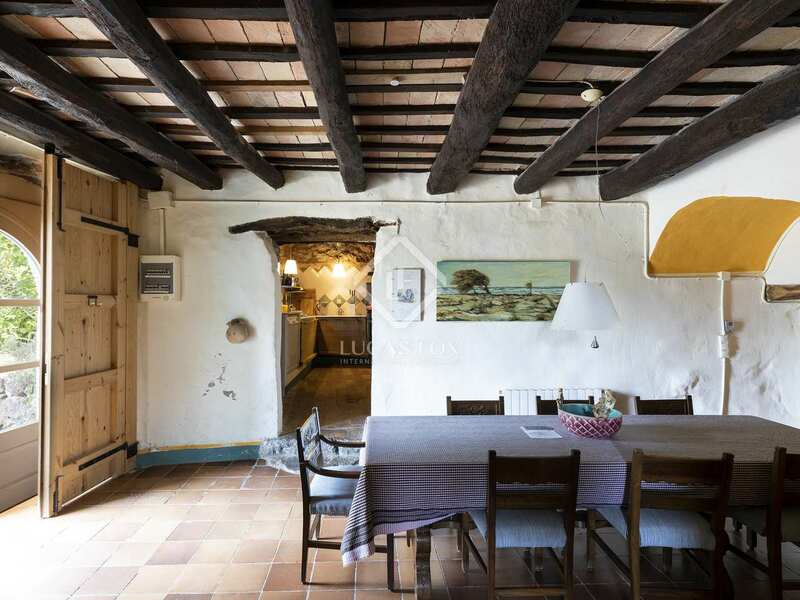 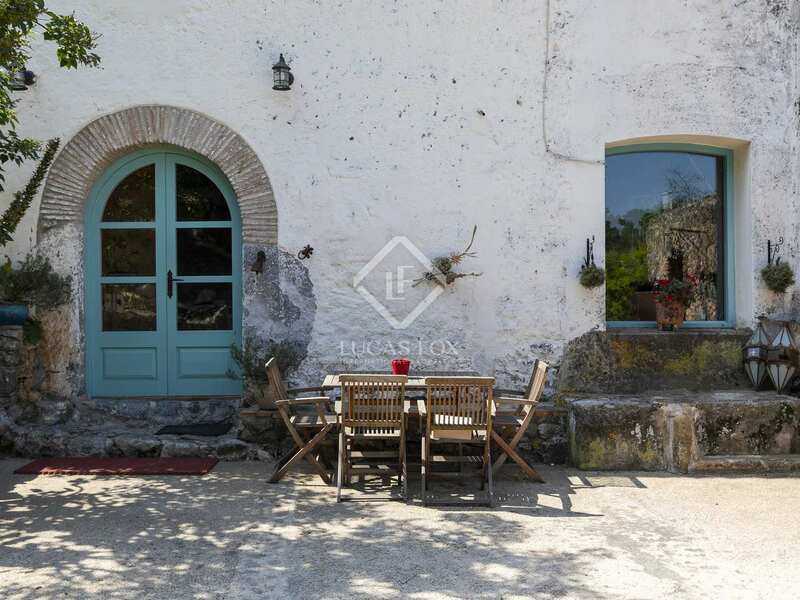 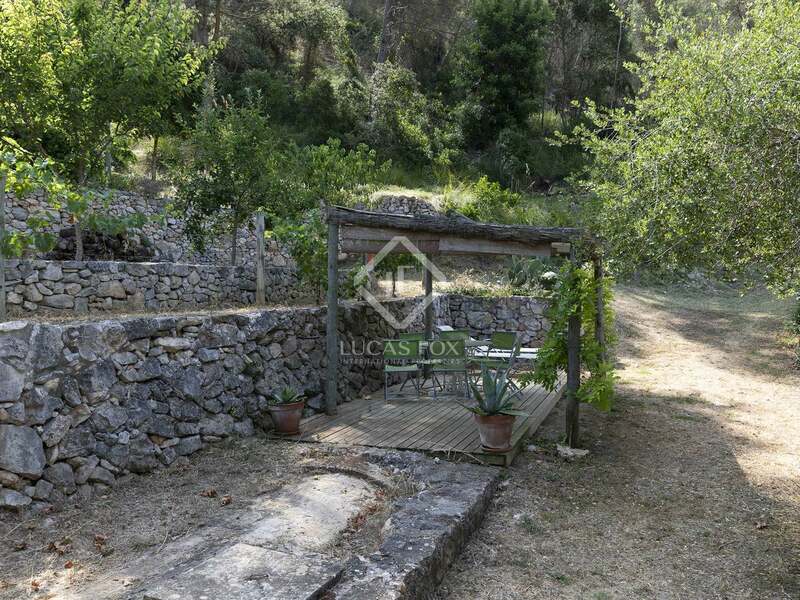 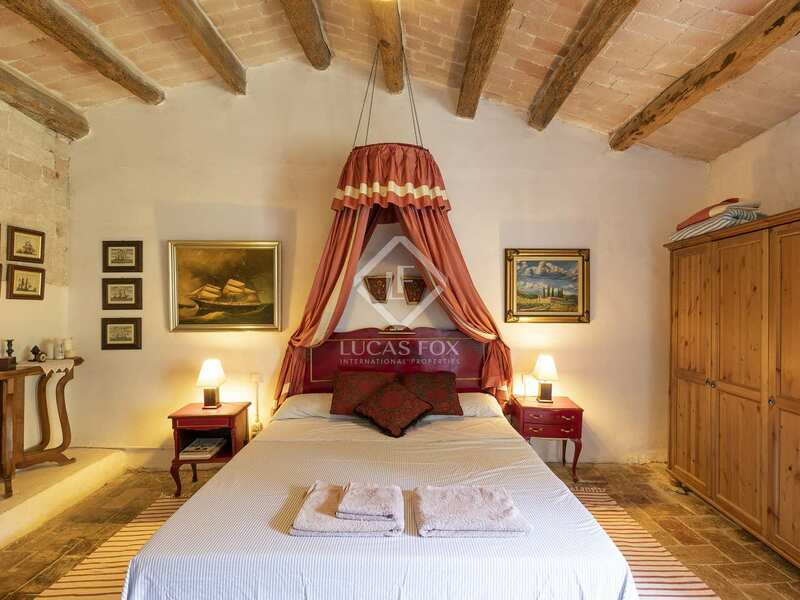 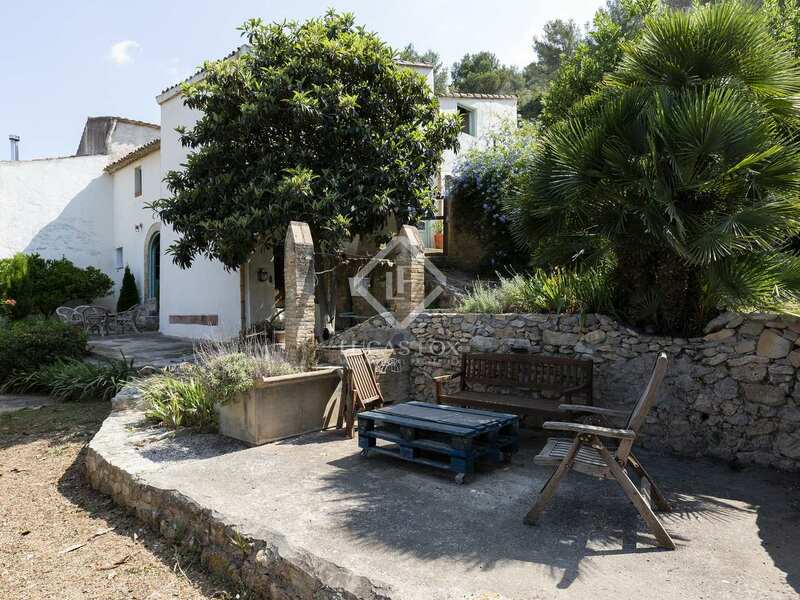 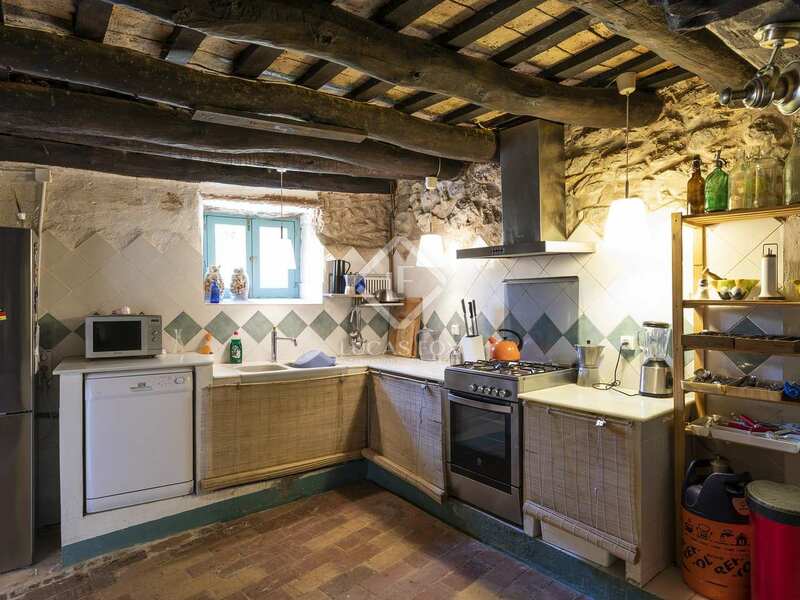 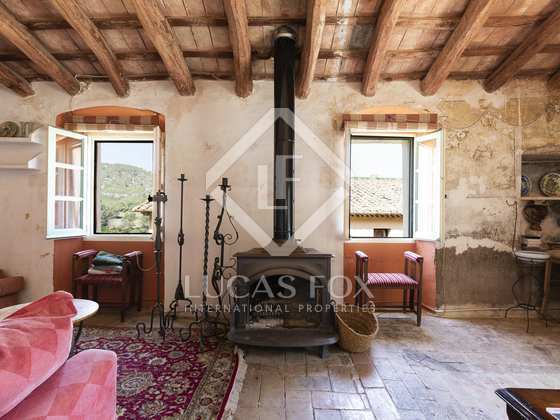 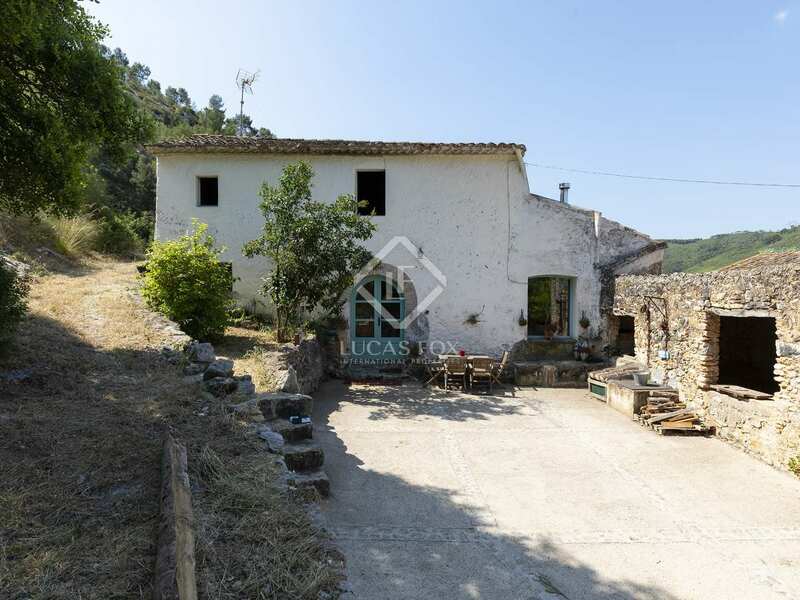 Authentic farmhouse located in Garraf Natural Park near Sant Pere de Ribes.